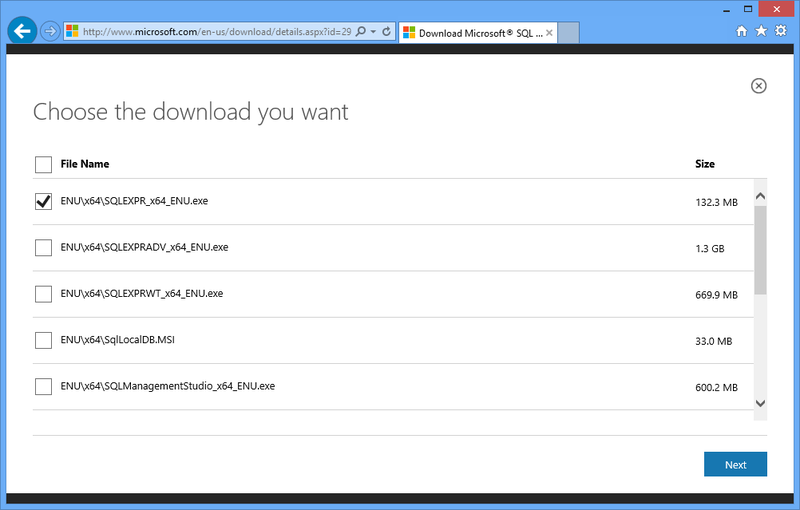 I’m often asked how to install SQL Server Express Edition, and what the different download options are. 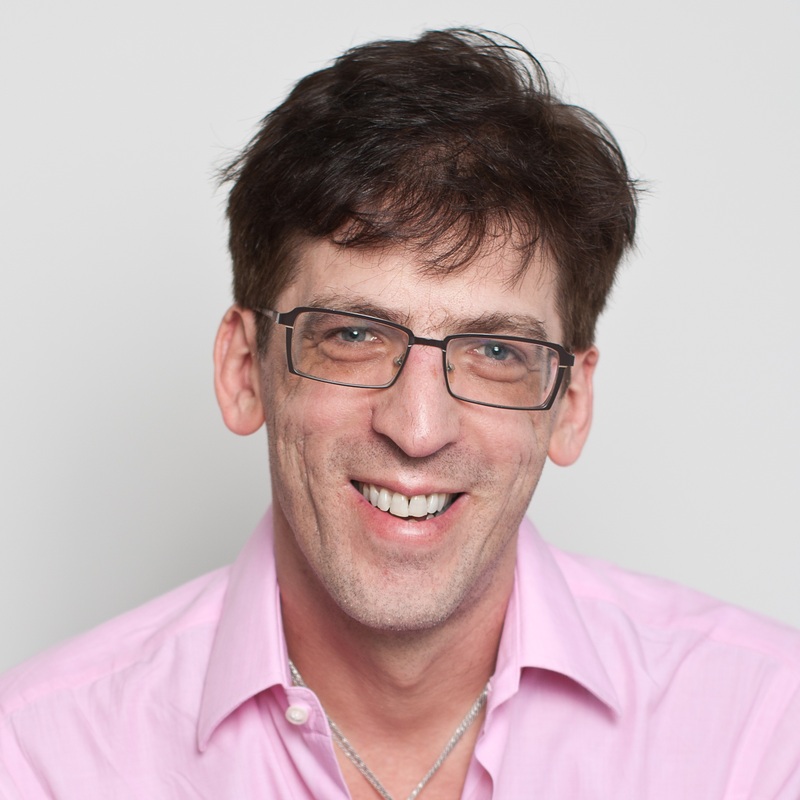 So I finally decided to explain it all in this blog post. There are several SQL Server Express Edition downloads available on the Microsoft site, and they are available in both 32-bit and 64-bit versions. You can choose to install just the SQL Server Express database engine (and nothing else), or you can choose one of two other (larger) downloads: Express With Tools (which includes SQL Server Management Studio [SSMS]) or Express With Advanced Services (which includes SSMS, Full Text Search, and Reporting Services). There are also separate downloads for SSMS and LocalDB, but these do not include the SQL Server Express database engine needed to host local databases. Open Internet Explorer, and navigate to http://www.microsoft.com/en-us/download/details.aspx?id=29062. Click the large orange Download button. Select the appropriate download for your system. For 64-bit systems, choose ENU\x64\SQLEXPR_x64_ENU.exe. For 32-bit or 64-bit WoW systems, choose ENU\x86\SQLEXPR32_x86_ENU.exe. For 32-bit systems, choose ENU\x86\SQLEXPR_x86_ENU.exe.Note If you need to download SQL Server Management Studio (SSMS) as well, choose the Express With Tools file instead, which is the one that includes WT in the filename. If you receive a pop-up warning, click Allow Once. When prompted to run or save the file, choose Run. This starts and runs the download. If the User Account Control dialog appears after the download files are extracted, click Yes. 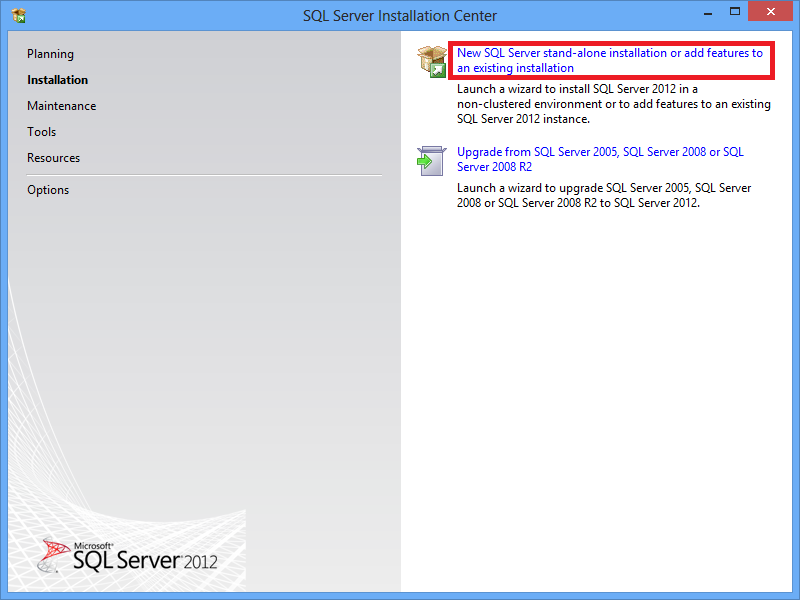 In the SQL Server Installation Center, click New SQL Server Stand-Alone Installation. On the License Terms page, select I Accept The License Terms and click Next. On the Product Updates page, allow the wizard to scan for updates, and then click Next. On the Install Setup Files page, wait for the installation to proceed. On the Feature Selection page, Click Next. Continue clicking Next through all the remaining pages until the Installation Progress page, and wait for the installation to proceed. On the Complete page indicating a successful setup, click Close. 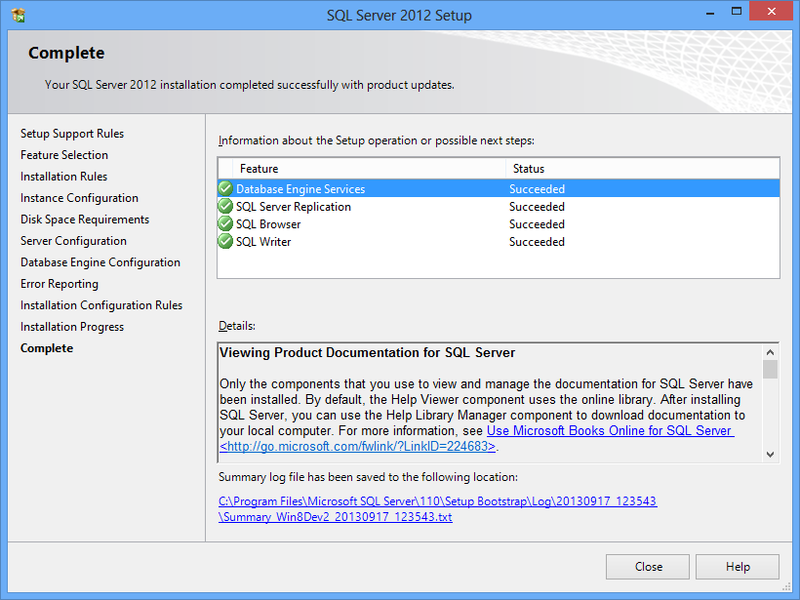 I hope these instructions help you choose the right installation option for SQL Server Express Edition!